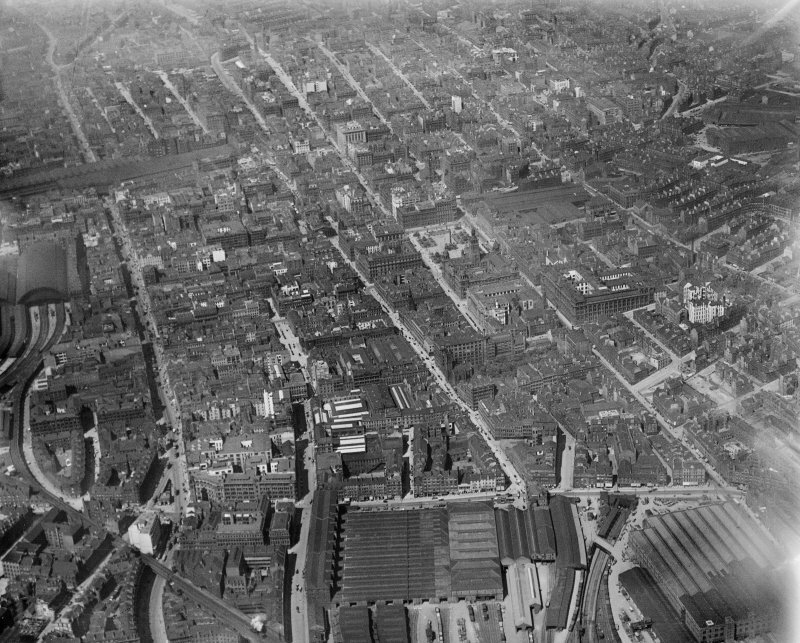 Glasgow, general view, showing George Square, Queen Street Station and Ingram Street. Oblique aerial photograph taken facing north-west. John Baird (second) - internal reconstruction 1876 - main hall and staircase. Mitchell Library - Glasgow in Former Times, Volume 2 p50 - 2 lithographs of Old Hospital, demolished 1792.